Is there a coming shortage of nurses? A sobering report in the Journal of the American Medical Association warns of a U.S. nursing workforce shortage. The report projected that by 2020, "if the policies don't change, we could be facing a huge shortage of nurses -- more than four or five times larger than any prior shortage in the country," one expert says. 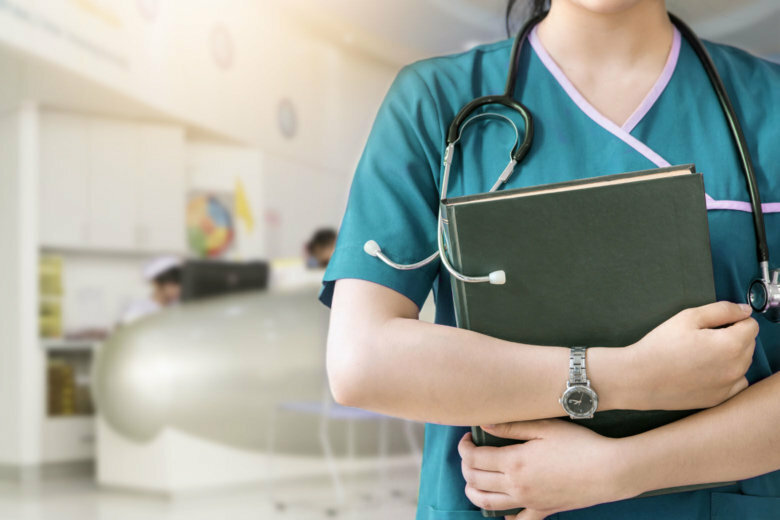 Earlier this year, a Gallup poll found that for the 16th year running, nurses were the most trusted profession in terms of honesty and ethical standards, with 82 percent of Americans describing nurses’ ethic as high or very high. Nurses are skilled health care professionals who look after us when we’re most vulnerable, but there’s long been a concern that there might simply not be enough of these providers to go around as demographics and care trends have changed. Because nurses constitute the largest group of health care providers in the country, this forecasted shortage puts many hospitals, colleges and other organizations on high alert. They needed more nurses, and the sooner the better, as the lagging number of young people choosing nursing as a profession would not be able to offset the anticipated wave of retirements from an aging workforce. The paper’s predictions spurred a number of private and public sector entities to make policy changes that would encourage younger people to choose nursing as a career. Although the overall workforce picture looks better now than it did in the early 2000s, challenges remain in making sure all hospitals and other points of care have the nurses they need to operate in an optimal way. The workforce picture “looks pretty dynamic right now,” says Elizabeth Madigan, CEO of Sigma Theta Tau International, the global honor society for the nursing profession. A professor, researcher and registered nurse, Madigan says that staffing shortages come and go, flaring up as older nurses retire and then cooling down as hospital systems address these issues. “We also know that there are some places and kinds of facilities where it’s really hard to get RNs,” she says, such as in rural hospitals and rural primary care settings. “This is not new. A lot of new graduates are attracted to working in the hospital. But even in urban areas there are some facilities,” such as nursing homes and rehabilitation hospitals, “that have trouble finding enough nurses.” She says that pay factors into the discussion here, as some long-term care facilities and rural locations can’t match the pay expectations of many urban or larger hospital systems. That said, this hit-or-miss aspect to nurse staffing numbers makes it harder to address the issue from a policy level. Instead, it often falls to states, communities or individual hospitals to recruit the nurses they need. Cheryl Peterson, vice president of nursing programs at the American Nurses Association, agrees that while the number of nursing school graduates entering the practice has improved in recent years, geography is still a factor. “We’re graduating almost 150,000 new nurses each year, so we’re producing a lot of nurses, but they’re not necessarily where we need them to be.” She says historically speaking, nurses tend to stay in the communities in which they train. Peterson adds that certain areas of nursing always have a greater need for practitioners. “For example, intensive care units, cardiac care units, really high-end, high-tech nursing — we’re always in demand for those kinds of nurses. That’s always an area where we see a shortage. The other area where we see a shortage is in geriatric care. We’ve got an aging population and we don’t have enough specialist nurses in geriatric care,” she says. These older patients tend to have more complicated care needs, and the question remains whether there are enough nurses who specialize in this area to meet the coming demands of an aging population. That age piece is compounded by the fact that the nursing workforce itself is also aging. Although the Great Recession delayed the retirement of many nurses, now that the economy has improved, older nurses are leaving the workforce. This mass exodus of older nurses is putting pressure on many hospitals and health care facilities around the country, and finding a way to bridge the gap between baby boomer generation nurses who are leaving the workforce and millennial nurses who are entering has been both a challenge and an opportunity. Another piece of the shortage picture, Madigan notes, is a faculty shortage at nursing schools around the country that has resulted in a lack of opportunity for would-be nurses. A recent report from the American Association of Colleges of Nursing found that “U.S. nursing schools turned away 64,067 qualified applicants from baccalaureate and graduate nursing programs in 2016 due to insufficient number of faculty, clinical sites, classroom space, and clinical preceptors, as well as budget constraints.” This mismatch between supply and demand could yet get worse, given that “the average ages of doctorally-prepared nurse faculty holding the ranks of professor, associate professor, and assistant professor were 62.2, 57.6, and 51.1 years, respectively. For master’s degree-prepared nurse faculty, the average ages for professors, associate professors, and assistant professors were 57.8, 56.6, and 50.9 years, respectively,” the AACN reports. The solution here, Buerhaus says, is essentially the equivalent of succession planning in any other business setting. Older nurses, and especially nurse managers and administrators, should have the opportunity to spend more time mentoring newer nurses to transfer the knowledge they have. And, he says “schools need to do a better job of preparing nurses for this environment.” Many schools and hospitals are employing these practices already, but the increased interaction between experienced nurses and new recruits, the more seamlessly the transition will occur. Peterson adds that increasing the diversity of the nursing workforce is also an important goal that may help alleviate some of the anticipated staffing pressure points. “Right now, we’re a principally white female occupation. We need to change that picture pretty dramatically by adding ethnic minority and gender diversity.” Given that nurses tend to practice in their own communities, a more diverse workforce could mean more nurses serving areas with greater need. Peterson says continued federal funding to support nursing education and providing more funding opportunities to students who might not otherwise be able to afford a college education is critical to improving diversity in this field. Signing bonuses, loan repayment plans and other financial incentives may also help attract nurses to areas where they’re needed most, but Peterson says technology can also play a role. “I think a real conversation about technology is probably going to be more fruitful in the long run than physical bodies, although we’re always going to need physical bodies.” Particularly for remote community hospitals, telemedicine technologies might help a smaller staff deliver the care that’s needed. Lastly, Peterson says that one simple way to make nursing a more desirable career and reduce burnout and practitioner attrition is to address concerns that nurses sometimes raise. “Treat your nurses well. It’s not always about money. It’s about making sure their voice is heard where they’re employed. If they’re talking about violence and feeling unsafe in their workplace, don’t tell them to just get de-escalation training but actually address the safety issue.” Keeping nurses injury-free, safe at work and practicing to the full extent of their licenses can go a long way toward making sure there will be enough of them available when and where they’re needed.